Make one instrument sound like many musicians at once, create harmonies, widen or enhance recordings, add bass drum subharmonics plus much more. 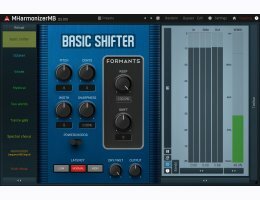 That's MMultiBandHarmonizer, a pitch shifting and multi-voice harmonizing plugin. Multiple harmonizing algorithms, up to 120 voices, formant adjustment, strumming, ADSR enveloper, plus much more, all of it in 6 distinct bands. 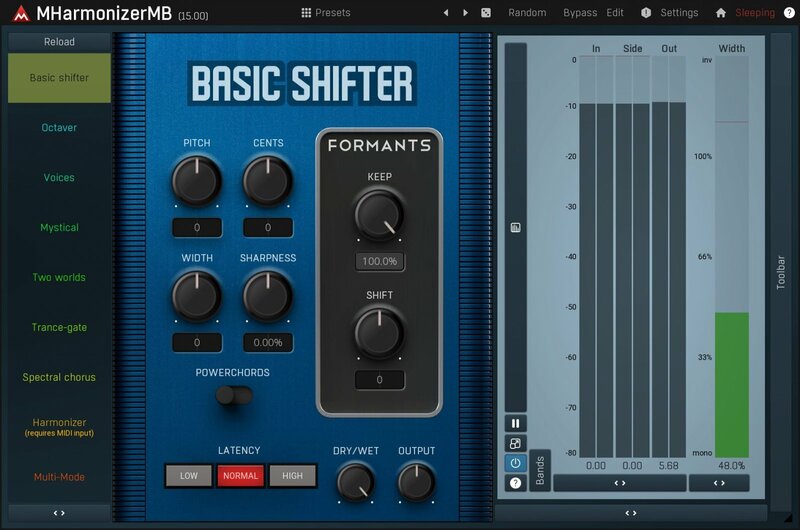 MMultiBandHarmonizer is the most versatile harmonizing effect on the market.